F. Murray Abraham, Tom Hulce, and Elizabeth Berridge. 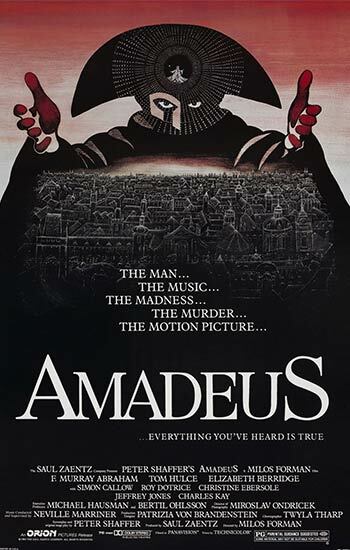 F. Murray Abraham seethes with jealous anger and righteous indignation as Antonio Salieri, a talented 18th-century composer who is constantly upstaged by the irreverent prodigy Wolfgang Amadeus Mozart. As the self-proclaimed “patron saint of mediocrity,” Salieri represents all those who have the gift of comprehending genius but lack the ability to match it.